This Wednesday we celebrate a day that perhaps you haven't heard of... National Receptionist Day. That's right, this Wednesday we get to say thanks to our Receptionists for the work they do (please note this day isn't to be confused with national Administrative Professionals Day or Secretary's Day!) This day unluckily isn't a day off for receptionists, however it is good to be recognised for the work you do and helps promote pride and professionalist in the position. Why not buy your receptionist a gorgeous bouquet of flowers to not only brighten her day but to also brighten the office and reception area for when you have visitors over? We have selected our favourite Flowers which we feel would be perfect for sending to your receptionist as a gift this May. 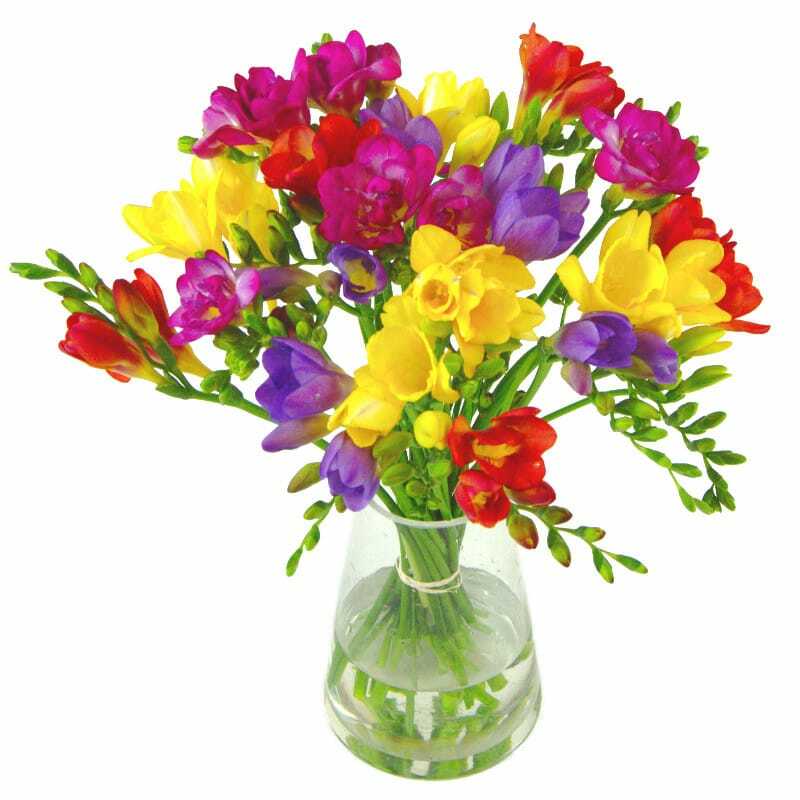 The bright colours of this gorgeous Scented Freesia Bouquet will be a great gift for your receptionist. The lovely yellow, purple and red blooms make this a visual delight for the eyes. This luxurious freesia flower will be a great feature for your office for visitors to admire, and features a gorgeous sweet fragrance that fills up the room with a gogeous arome of garden-fresh flowers. 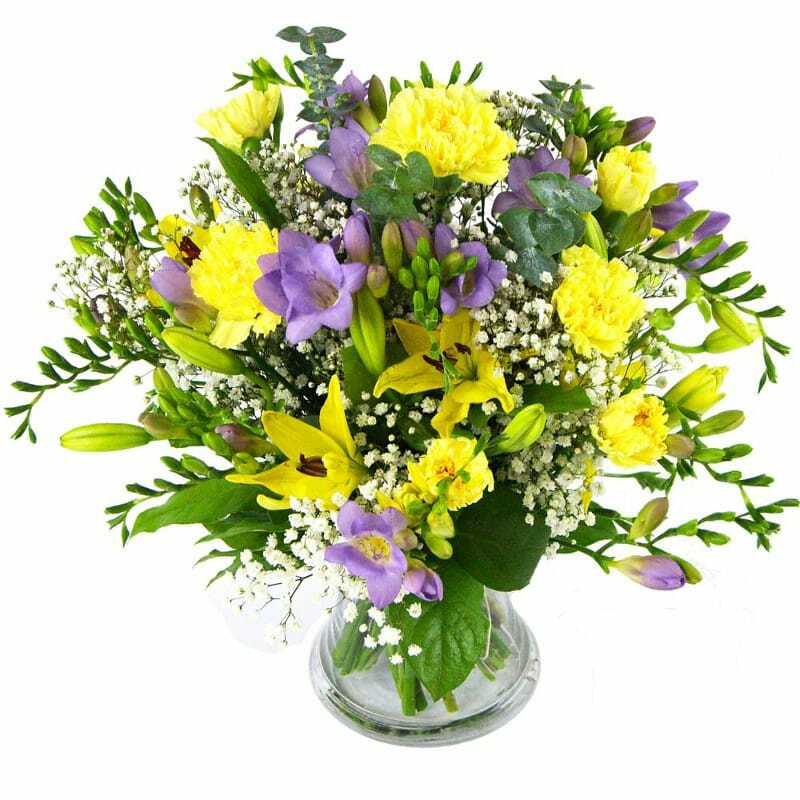 The Freesia and Lily Bouquet is a great give to remind your receptionist that you appreciate all the hard work she puts in. A lovely reminder of a warm summers day, this gorgeous bouquet is an extremely affordable gift. Craeted using fresh, pretty, fragrant freesia, lilies and carnations our florists have created a different and wonderful combination of flowers. This exquisite hand-tied bouquet is a simply elegant gift to give your receptionist. 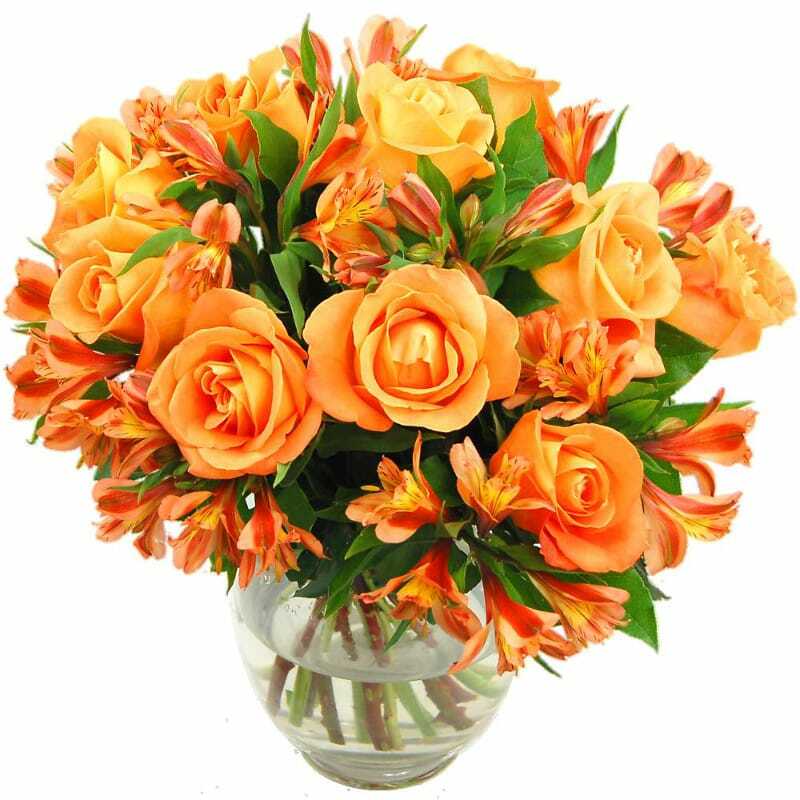 Our Orange Rosmeria Bouquet has been carefully designed by our expert florists with a delicate arrangement of orange roses and alstromerias to create a glowing, radiant effect.